The Afghan Military in the East claims at least 51 militants of the Islamic State of Iraq and Syria (ISIS) terrorist group have been killed in Haska Mina district of Nangarhar province. The 201st Silab Corps of the Afghan Military in the East in a statement said the Afghan security forces and Special Forces conducted operations in Awghaz village in Haska Mina district. The statement further added that 51 militants of ISIS terrorist group were killed during the operations. 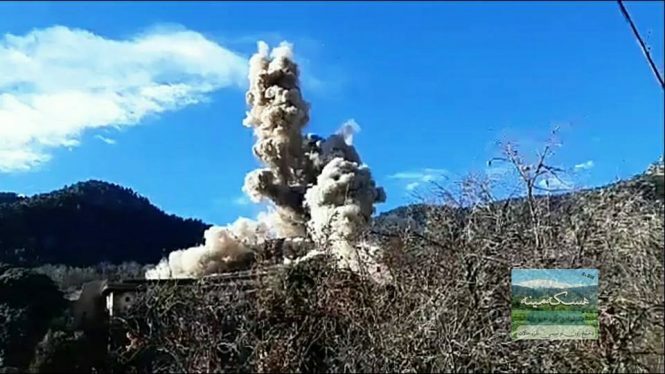 According to 201st Silab Corps, some compounds of the terrorist group were also demolished along with a cache of weapons and munitions. The anti-government armed militant and terrorist groups including ISIS loyalists have not commented regarding the operations so far.